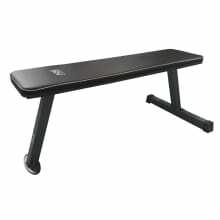 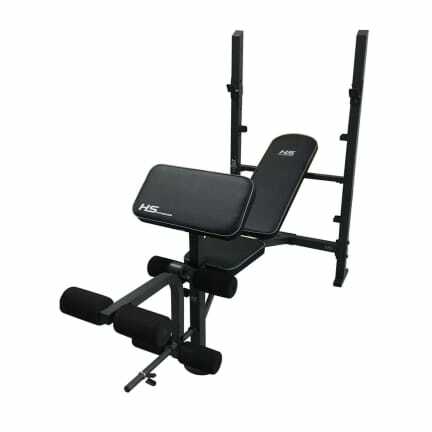 HS Fitness Barbell Bench. 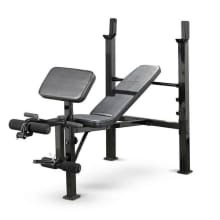 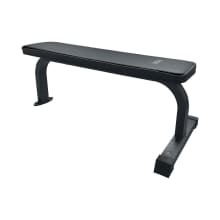 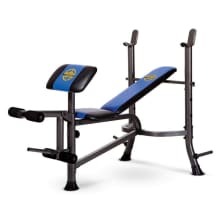 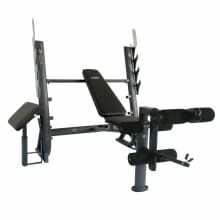 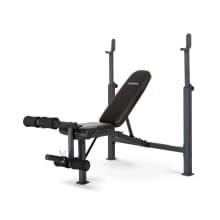 Whether you are are seasoned weight lifter or just entering the world of weight lifting, this mid width bench has everything you need for a full body workout in the comfort of your home. 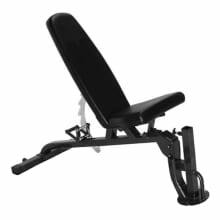 The multi position back pad adjusts to incline, decline or flat positions so that different muscle groups can be targeted. 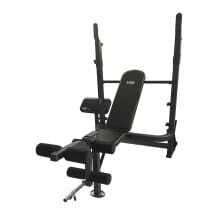 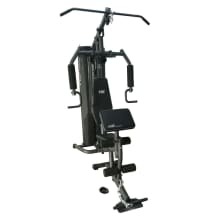 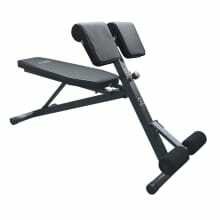 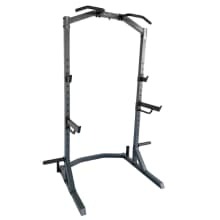 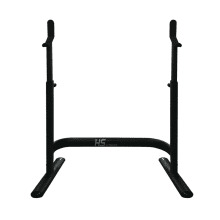 Designed for bench presses, incline presses, preacher curls, leg lifts, leg extension and leg curls. 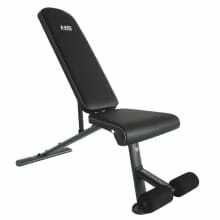 The leg developer with 6 foam rollers, accommodates standard barbell discs giving you maximum flexibility and workout intensity. 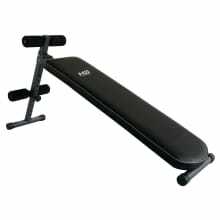 The foam rollers lock your legs comfortably allowing you to work your abs, obliques and hip flexors in comfort from flat or decline position. 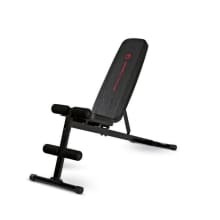 The back pad inclines to 85 degrees for military press exercises.